Dubbed the "rising guru" in the field of political risk by the Economist, he teaches classes on the discipline as a global research professor at New York University. 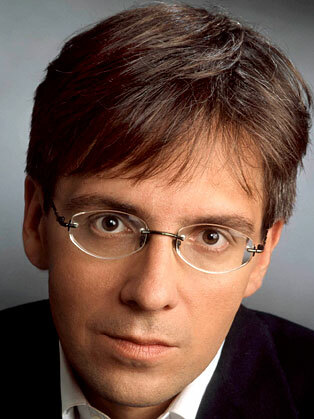 In 1998, Bremmer established Eurasia Group with just $25,000. Today, the company has offices in New York, Washington, and London, as well as a network of experts and resources in 90 countries. Eurasia Group provides analysis and expertise on how political developments and national security dynamics move markets and shape investments across the globe. As the firm's president and most active public voice, Bremmer advises leading executives, money managers, diplomats, and heads of state. Bremmer is credited with bringing the craft of political risk to financial markets - he created Wall Street's first global political risk index (GPRI) - and for establishing political risk as an academic discipline. His definition of emerging markets - "those countries where politics matter at least as much as economics for market outcomes" - has become an industry standard. G-Zero, his term for a global power vacuum in which no country is willing and able to set the international agenda, is widely accepted by policymakers and thought leaders. Said Larry Summers, "Global political economy has no sharper or more prescient analyst than Ian Bremmer." Bremmer actively discusses the intersection between politics and markets in speeches and the media. He has published nine books, including the national bestsellers Every Nation for Itself: Winners and Losers in a G-Zero World and The End of the Free Market: Who Wins the War Between States and Corporations? He is a regular columnist for the Financial Times A-List and has written hundreds of articles for many leading publications. He appears regularly on CNBC, Fox, Bloomberg, CNN, the BBC, and other networks. In 2007, Bremmer was named a Young Global Leader of the World Economic Forum, where he is the founding chairman of the Global Agenda Council on Geopolitical Risk. He is a senior fellow at the World Policy Institute and serves on the President's Council of the Near East Foundation, the Leadership Council for Concordia, and the Board of Trustees of Intelligence Squared.